Wellness? What is it anyway? Wellness is a term used to describe optimal health. Wellness includes the ability to enjoy life to its fullest as well as freedom from sickness and pain. Wellness is not just about vaccinations and treating animals when they are sick or painful. The cornerstone of an animal wellness program is having regular physical examinations done by your Veterinarian. You and your pet see each other every day so it is hard to notice gradual changes. Nutrition: A good quality diet fed in the appropriate amount is fundamental to achieving and maintaining healthy body weight. 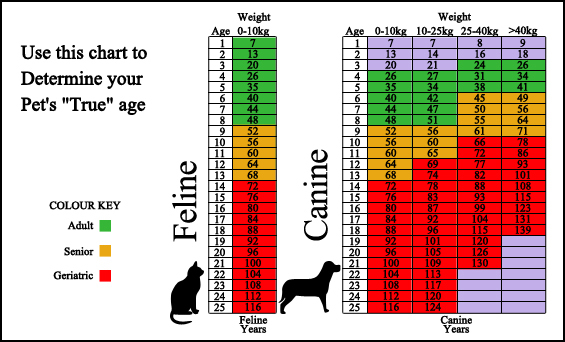 Animals with healthy body weight live longer than overweight animals. Cleanliness: Brushing, hand rubs, bathing, ensuring your pet is clean and has a well maintained hair coat contributes to your pets quality of life. Time spent grooming your pet also helps you notice any lumps, bumps, or physical changes before they are very advanced. Exercise: Activity is important for both physical and mental stimulation of your pet. Bonding time with humans: There are many different ways to spend time with your animals such as walking, sitting together, playing quietly, playing with toys. Not all bonding time involves giving your pet food (treats). Pets can be rewarded by just spending time with people. Preventing disease: Regular veterinary exams are required to assess the health of your pets. Appropriate vaccinations should be given when recommended, and both internal and external parasite control should be considered. Heartworm is an internal parasite carried by mosquitoes that can be easily prevented. An annual oral exam is important to maintain dental health. Dental health is commonly neglected and poor dental health significantly reduces the quality of life of your pet. As with so many other things in life, wellness is a choice. Think about the wellness of your pet: look for it, nurture it, maintain it, enjoy it, work it. Why do our pets need wellness screening? Secondly, pets will actively mask signs of illness until late in the course of disease. This stems from survival instincts in a pack or colony situation. Treatment of disease is most successful if started before disease has progressed to cause significant clinical signs. OUR GOAL IS TO PROVIDE HIGH QUALITY OF LIFE FOR AS LONG AS POSSIBLE FOR OUR PATIENTS.